Throughout medical training, providing an environment that promotes positive development is extremely important. 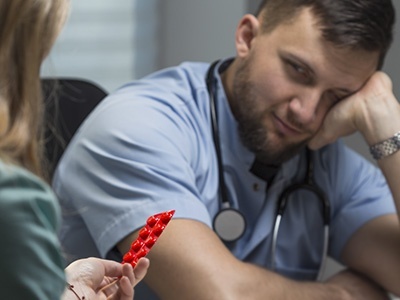 However, many studies have reported that students in medical education and training experience an environment that is overall not favorable for success. The Medical Student Well-Being Index was invented by Mayo Clinic and is a reliable tool that helps medical schools and individuals screen psychological well-being. It evaluates fatigue, depression, burnout, anxiety/stress, and mental/physical quality of life in medical students. It has been validated as an accurate tool to predict and help identify students with severe distress for early intervention. Emphasizing the importance of wellness during schooling is the most effective tactic to reduce distress and harmful habits down the road. Teaching the habit of continual self-assessment will increase well-being awareness and the ability to associate the effect certain events have on their well-being. Reinforcing resiliency is perhaps one of the top skills a successful medical professional can have. Promotes self-awareness at the absolute earliest stage of their journey in the medical field. All data is 100% anonymous, providing a safe place to access resources on burnout. Identifies students in distress early in efforts to reduce drop out rates and promote success. Provides valuable resources based upon individual results to increase well-being. Reporting features allow institutions to monitor student well-being and measure the effectiveness of wellness programs.